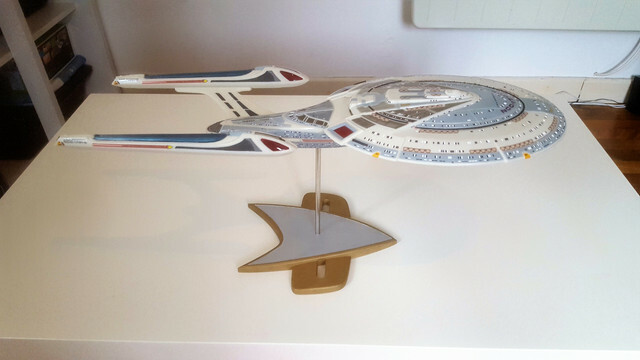 My second Star Trek model, which took me a couple months to build at the start of this year. 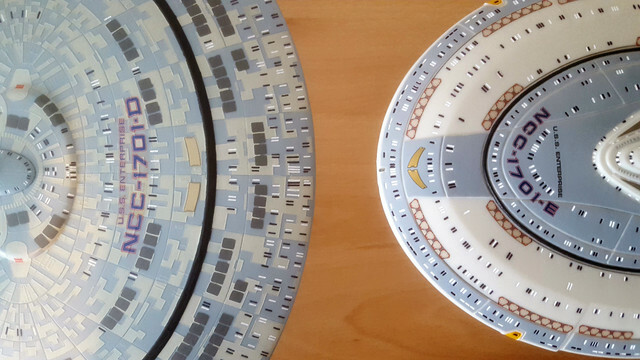 Although less detailed than my Ent-D model (no aztec pattern), I was actually glad for a less complicated and time consuming build this time round. This kit has many more decals too which also slightly make up for it. Seen here with it's older sibling. I found it quite suprising seeing them side by side how much smaller the E is, particularly as it's longer. 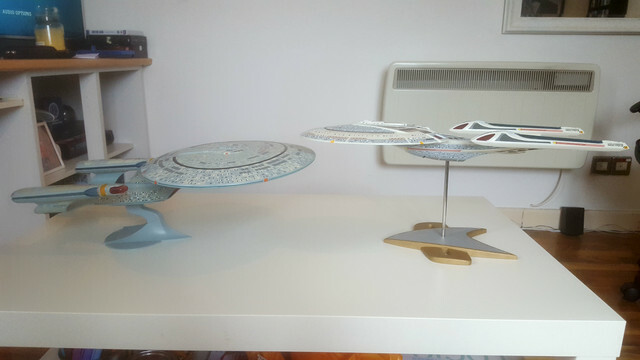 I felt like my painting abilities and the fit and finish of the parts and decals were massively improved since the last time, which has subsequently inspired me to keep going with the rest of the fleet! SKO wrote: Looking very good! 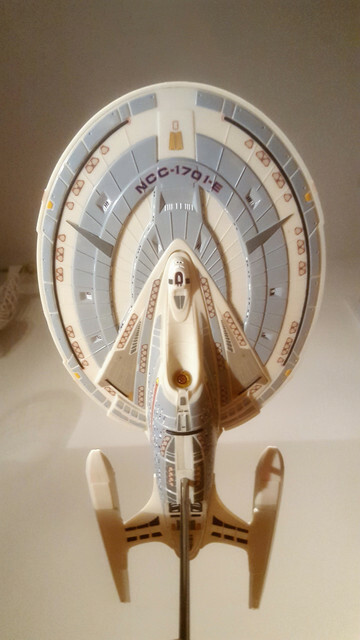 Next time Earth is under threat from space cetaceans, Picard's gonna have to steal a bird of prey. Beautiful builds. Love the color choices and the detail is tight. A very good paint job! Father Christmas has just dropped one of these down my chimney. 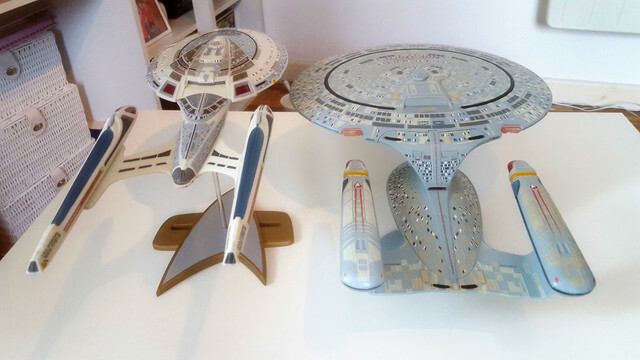 Once the enterprise A is out of the way I will be building and lighting mine. I'm tempted to try the Nemesis paint job as I prefer it but I will probably only add the extra torpedo tubes etc rather than go the whole hog with the pylons etc. I don't think those are so noticable anyway. The entrance to the shuttle bay is kind of noticable though so might do some changes there. We will see. Anyway back on topic. Nice clean build with some really tight paintwork in the windows. I've since bought a set of aftermarket decals and plan to add a few more bits - if the AMT kit has any weaknesses then it's too plain on the underside. 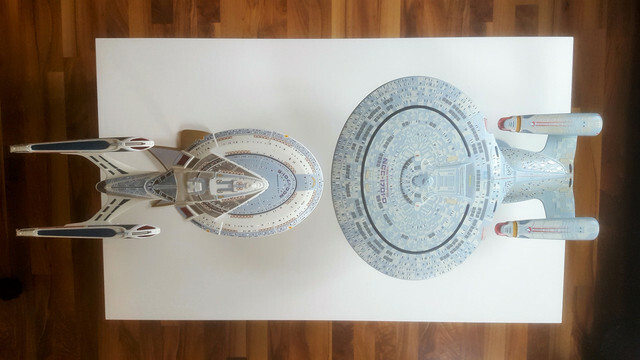 The kit is also missing the 'Enterprise' lettering beneath the rear shuttlebay. The hard part will be going back to something finished and not making it worse! Added the new decals today. Managed to do it without damaging anything else, which was a bonus. Few more of these tiny red and black details added - but I've no idea what they're supposed to be! Overall, very minor changes but it's nice to make it a little more detailed, plus it was a lot less work than starting a new kit! 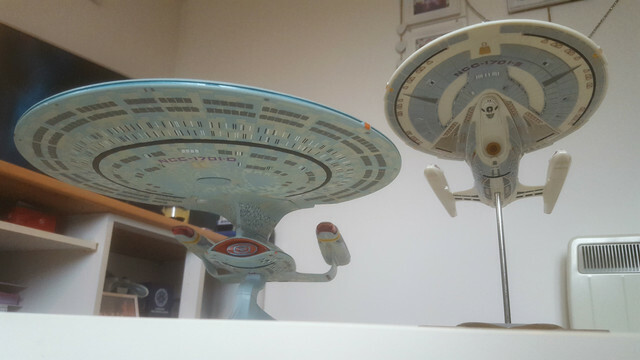 Just a shame the ventral side of the nacelles are still completely blank. 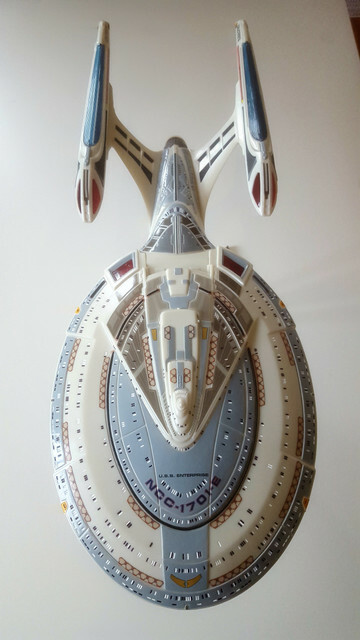 Doing the aztecing on this makes a huge difference to the plain look of the underside of the nacelles. I will be fully Nemesising my version including the plethora of Aztecing and a set of my custom etches.